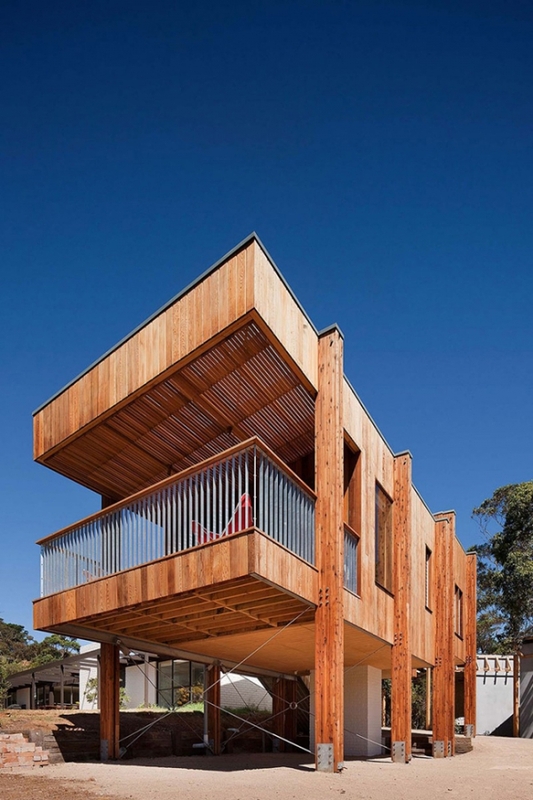 This modern beach house situated in Mornington, Australia is a wonderful example of building with natural materials to fit in with the surrounding landscape. 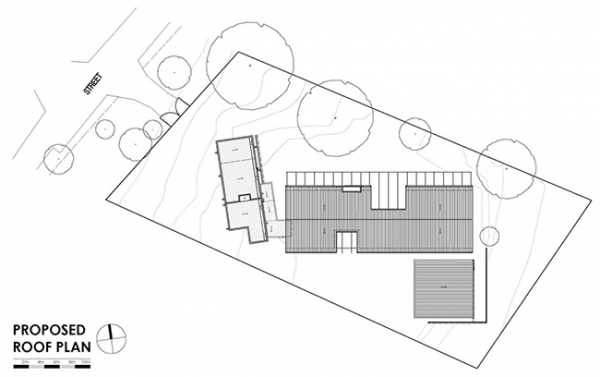 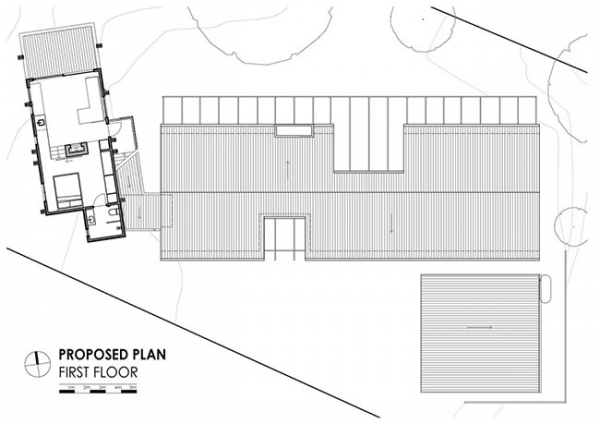 The building work was finished in 2013 and is actually an extension to a house that was already sited on the plot. 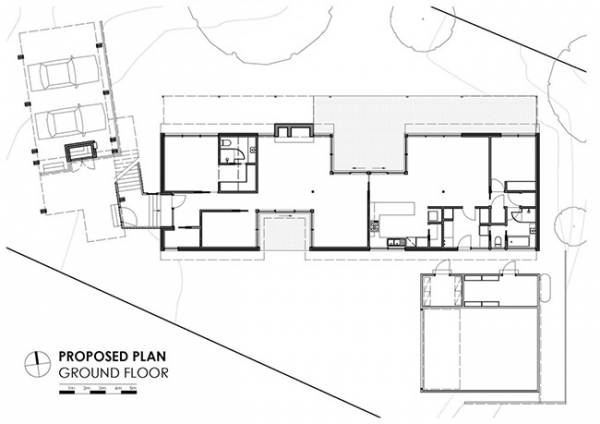 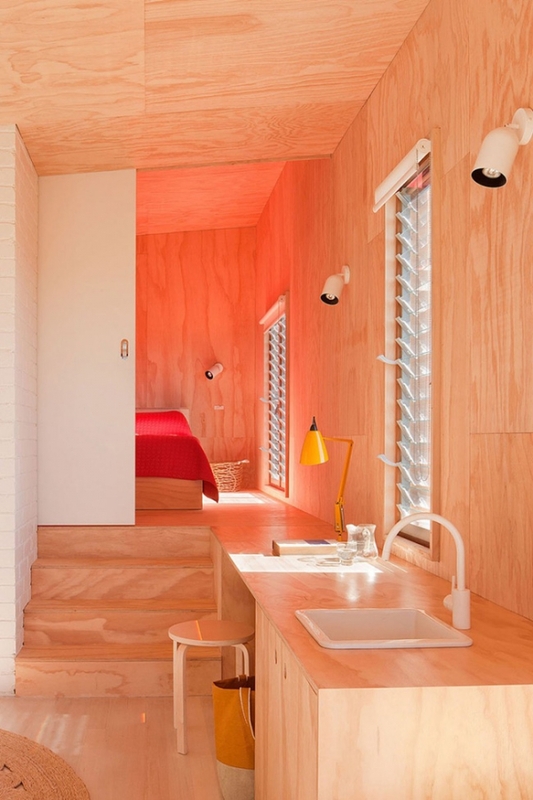 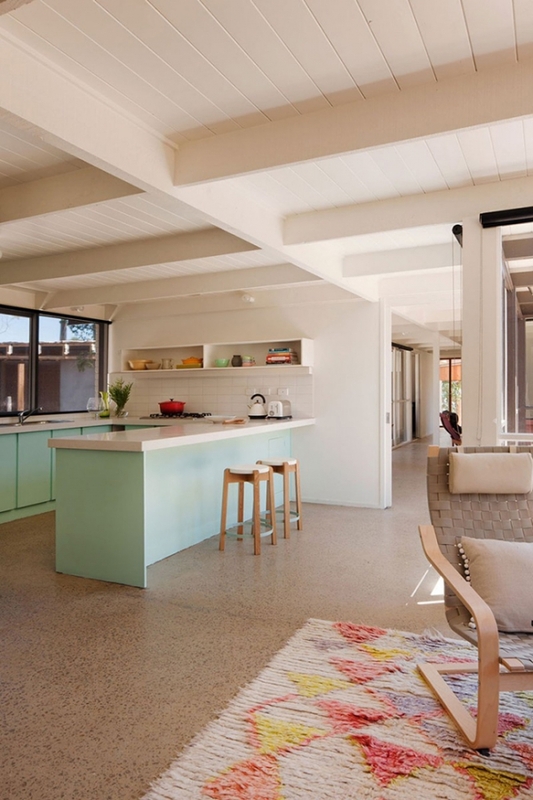 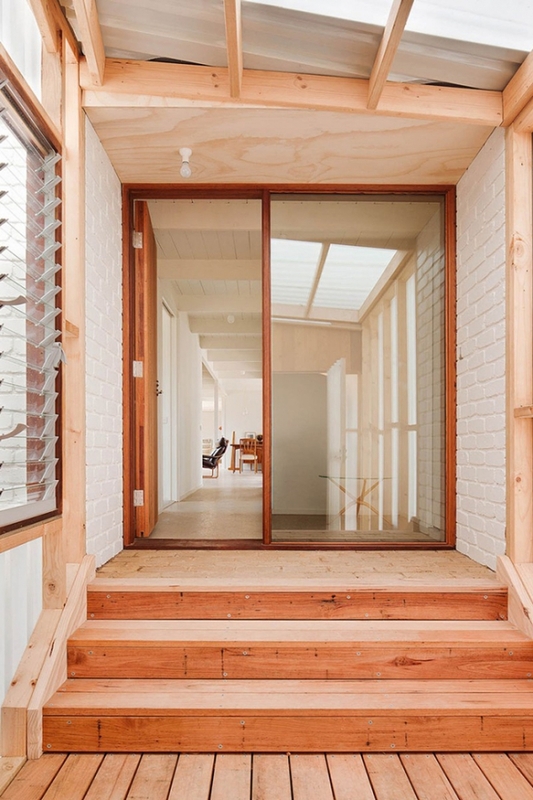 Rather than demolish and completely rebuild this modern beach house was given a new lease of life and more space by the addition of more usable living space. 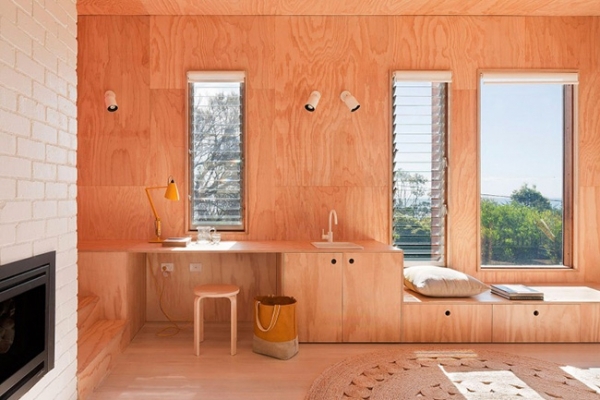 Architectural studio Clare Cousins has created a beautiful and modern beach house that makes the best use of natural materials. 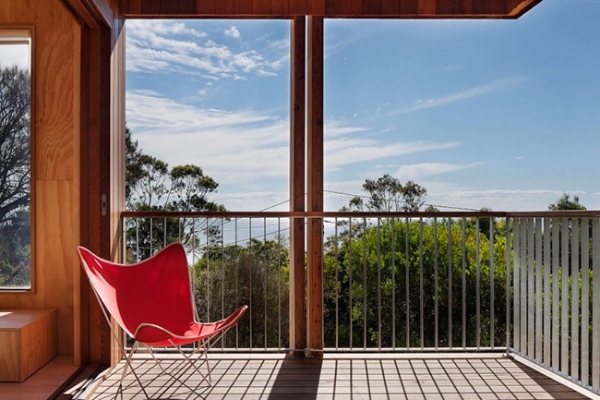 This is a house that is perfect for alfresco dining and watching the sunset over the water – It’s also a great place to entertain friends, relax or be creative. 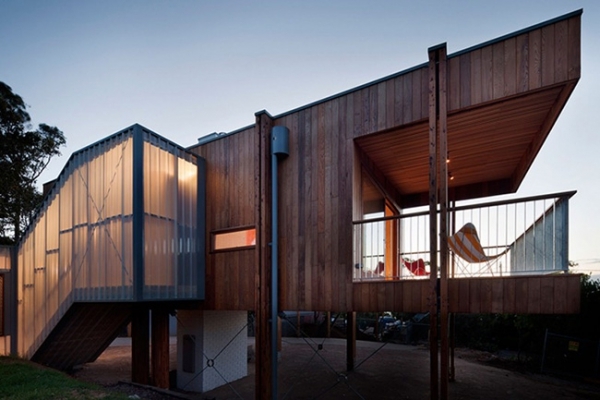 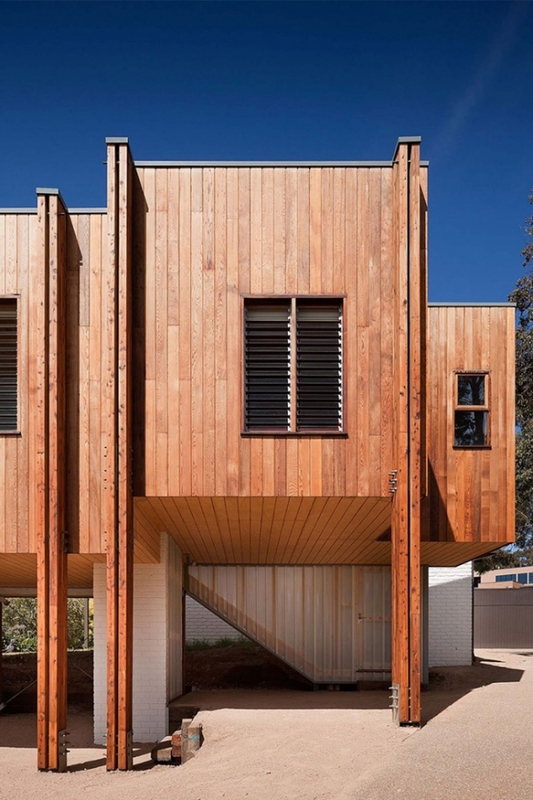 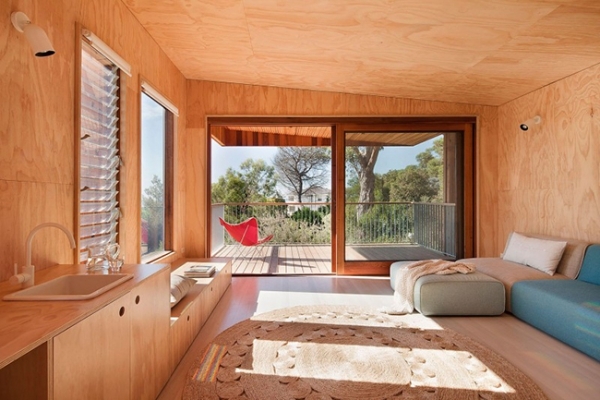 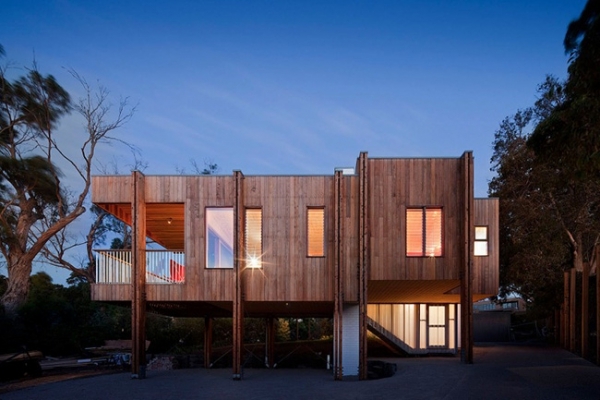 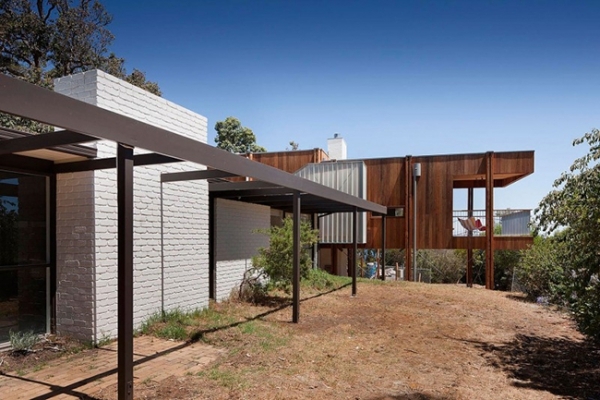 The wooden clad exterior brings warmth to the building and the decking is ideal for enjoying the weather in Australia. 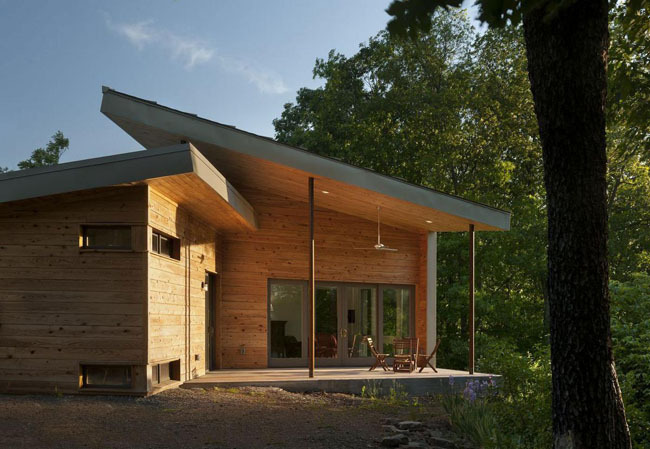 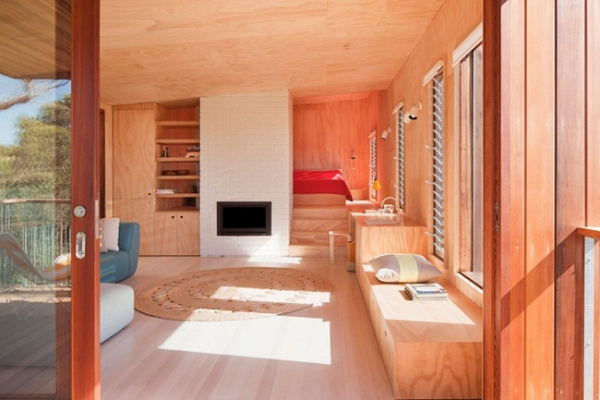 Inside this modern beach house you will find more natural materials, with wood being the main one used. 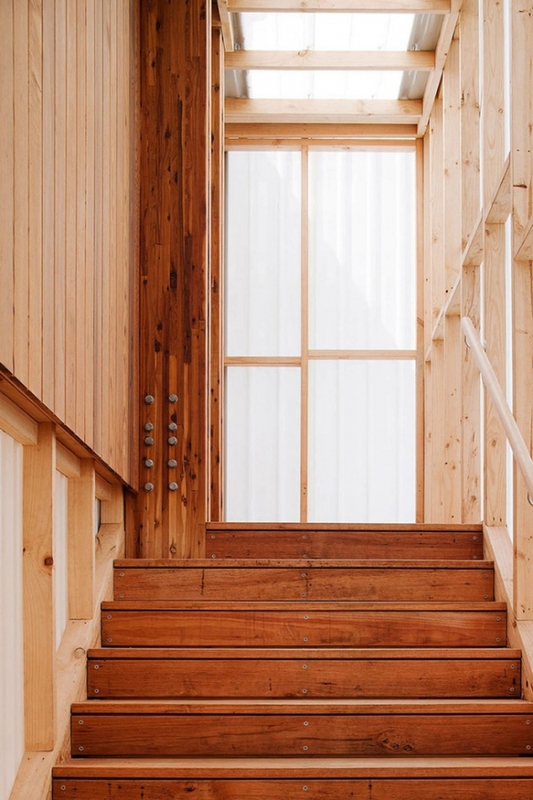 The wood had been left exposed and creates extra light and becomes art in itself due to the color variances and different grain in each piece. 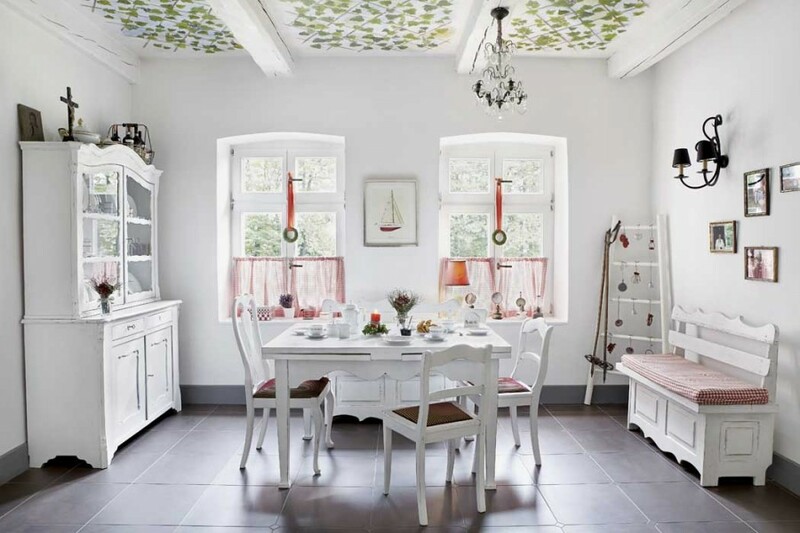 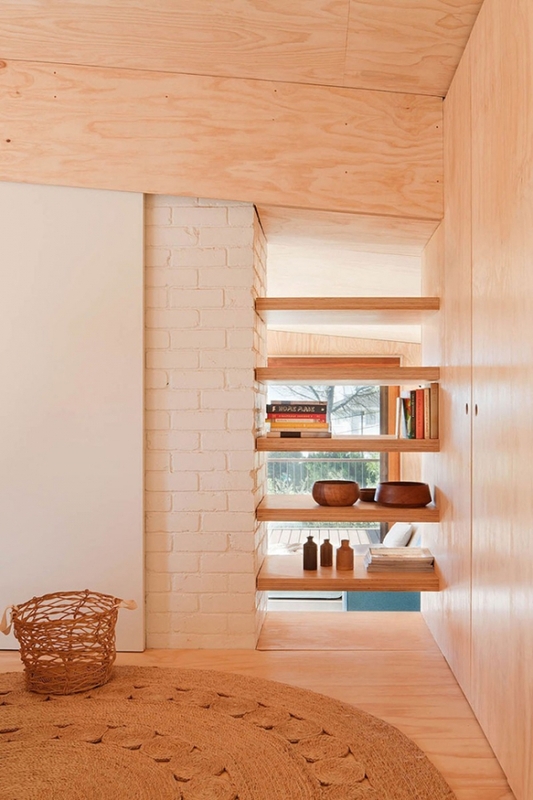 The use of natural materials keeps this house airy and bright all year round.